While Moore’s Bond was known for his reliance on “gimmick-of-the-day” type Deus ex machina solutions to many of the problems he faced, he proved a very successful replacement for series stalwart Sean Connery, appearing in seven Bond films from the mid-70s through the mid-80s. Critically, his earlier films get the best reception, with Live and Let Die topping most people’s lists, along with The Spy Who Loved Me and The Man with the Golden Gun, starring the inimitable Christopher Lee as the titular Scaramanga, perhaps the best one-off Bond villain of all time. Moore’s casting as the suave spy was initially quite controversial, not least of all because he was three years older than Connery. 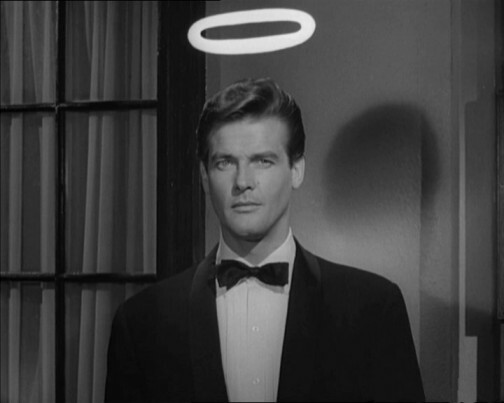 But for many, especially British audiences, he was already Simon Templar, The Saint, a television role he played on ITV from 1962-1969 based on the character from the Leslie Charteris books. Templar was such a similar character to Bond – suave and charming, often wearing suits and dealing with sophisticated enemies with flair and panache, all while being just a little bit cheeky – meant that some people were unable to shake this image from their minds when he made the transition to the big screen. But for people growing up in the 70s, he was our Bond. Moore was born in London in 1927, and did National Service in the British Army shortly after World War II. He had already begun acting (first appearing on screen in uncredited parts in 1945’s Vacation from Marriage and Antony and Cleopatra), but after years as a bit-player, he had his breakout in the 1958 series Ivanhoe. He spent the next decade on television, culminating in his role as Templar, which in turn brought him to the attention of Bond producers Cubby Broccoli and Harry Saltzman, who pegged Moore for the role after the failure to sign Connery replacement George Lazenby to an extended contract (and Connery’s subsequent return to the role in the one-off Diamonds Are Forever). Following his retirement as Bond in 1985, Moore slowed down his pace, doing primarily voice-acting, while making cameos in both the movie and made-for-TV versions of The Saint. 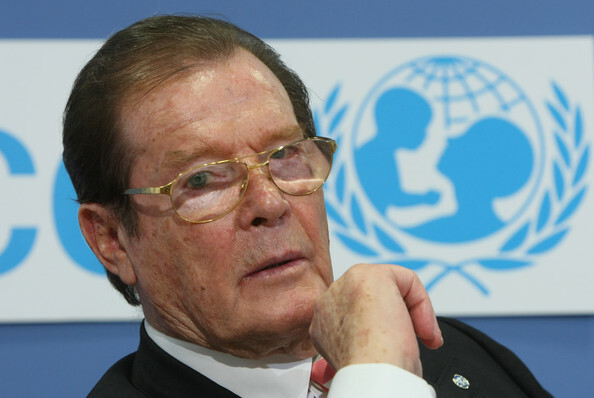 Most of Moore’s later life was spent in acting as a world ambassador for UNICEF, doing a number of fund-raising commercials as well as making appearances around the world to support the important work that they do for young and needy children.